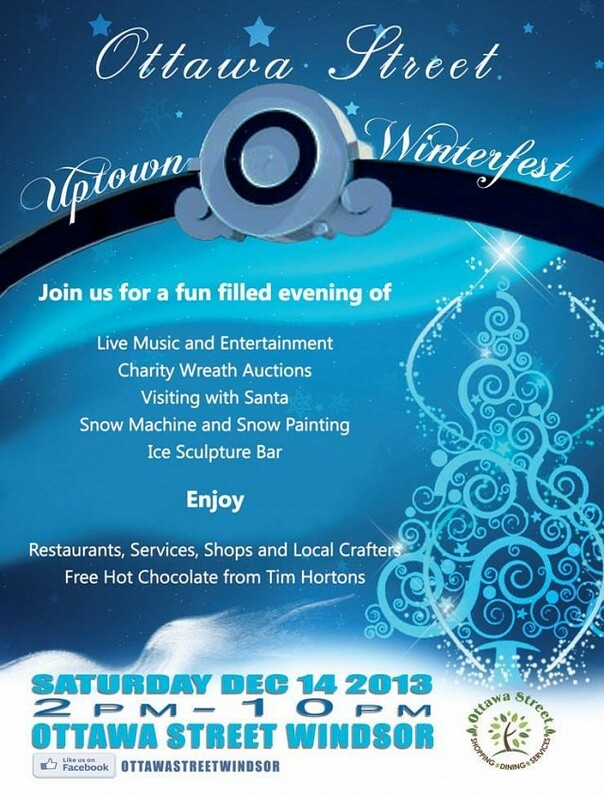 In the hopes of attracting people back to the area to shop local for the holidays, businesses along Ottawa Street have created the inaugural Ottawa Street Uptown Winterfest. The event features live music and entertainment, indoor and outdoor holiday shopping, craft booths, restaurants, a snow machine, snow painting for kids, fire trucks, free hot chocolate an ice sculpture taffy bar and much more. The event runs from 2pm until 10pm on Saturday December 14th between Hall Avenue and Lincoln Road.